Today's consumers are ready to connect with your business on screens of all types and sizes. That's a huge new opportunity, but only if your website is designed to give customers what they need on smaller smartphone screens as well as tablets and desktops. adroitCoders is a web development company that specializes in custom web and mobile application development using modern process and agile workflows. 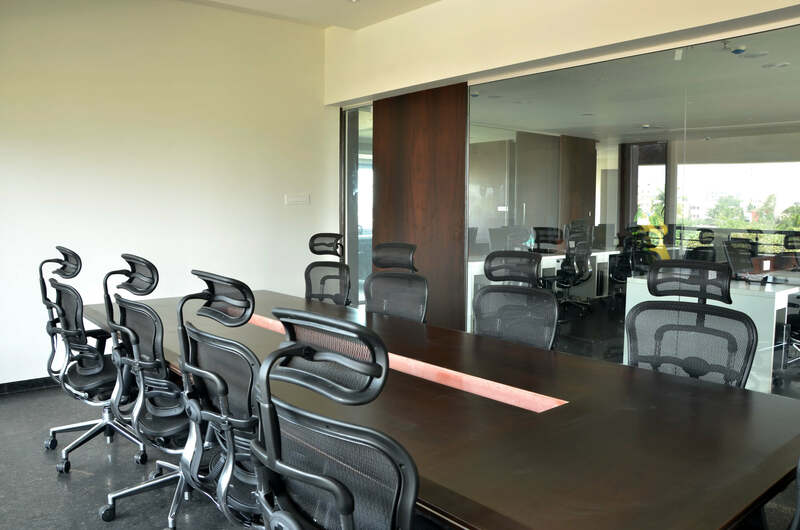 With focus on usability and accessibility along with usage of cutting edge technologies we are able to deliver solutions to startups and corporations alike. 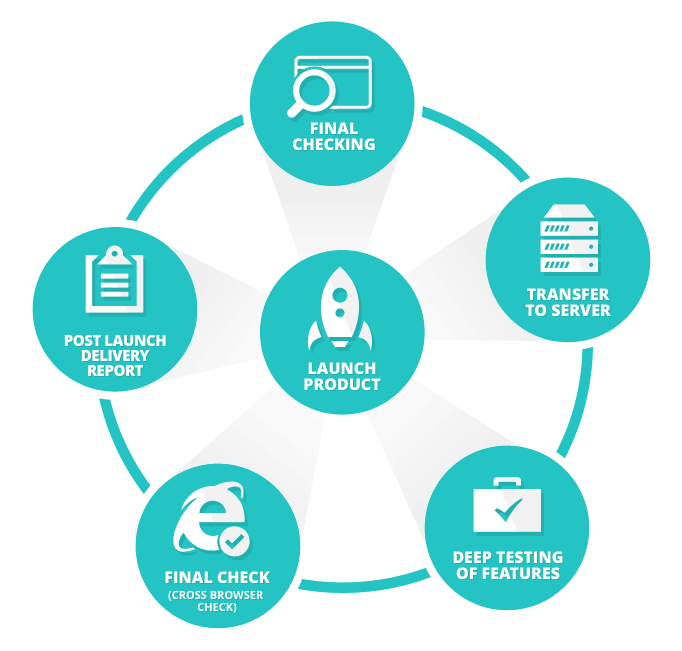 We help you realize the web app you spec out or collaborate with you right from the spec'ing process. Today's consumers are ready to connect with your business on screens of all types and sizes. That's a huge new opportunity, but only if your website is designed to give customers what they need on smaller smartphone screens as well as tablets and desktops.  We at adroitCoders design new and customize existing, web and mobile software to respond to these challenges. Design is a decisive step for companies as it is defining client's opinion, waking positive emotions, depending on how the user interface is build. For this reason, adroitCoders is particularly focussed on the right look & feel of your online projects. Especially the balance between usability and effective marketing is our main concern. Need professional and high-quality software development for your business? Our team of experts is only a click away. Solutions we deliver are secure, intuitive and perform to stated goals. Since we use development frameworks we are able to deliver rapidly evolving products to you and your customers with consistent and assured quality. Talk to us to know how we can deliver your project or usable part of it in -months- weeks. Support and proper upkeep is critical to all web applications. We help companies establish business processes to better manage their online infrastructure. 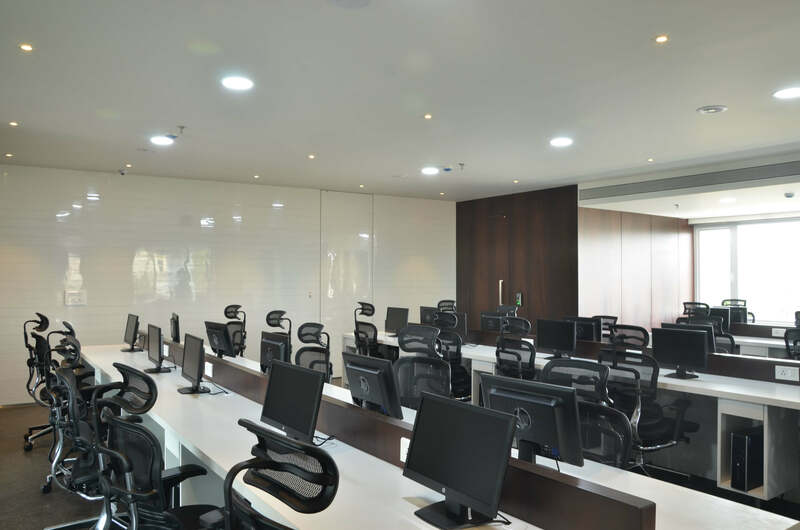 adroitCoders advises clients on maintenance and support activities and oversees planned migrations. Our round the clock support offerings come in with Service Level Agreements. Programmers, graphics designers, QA and clients are invited into the project management system and are given appropriate rights to the system. The rights include but are not limited to inviting others, posting messages and creating milestones, accessing source code etc. Assets and documents gathered that define the project scope are put into messages. Participants have access so that they can comment and seek clarification. This step involves setting up of staging servers and specifying access information for everyone. The staging servers also double up as demo areas. Clients are given access to this area so as to make sure we get appropriate feedack at all times. Uploading to these servers is done multiple times during a day. Projects are divided in n number of smaller phases each marked with a milestones. Milestones are extremely important in the sense that they provide an opportunity to us to identify potential hold backs and take corrective mesures and make sure we reach goals on time. This duo is the most frequently done activity. For each phase and otherwise QA team constantly hunts for bugs and puts them in tickets. Tickets are allocated to the concerned resource(tickets are open). When a resource starts working the given ticket is 'accepted'. Upon taking appropriate actions the resource marks the ticket as 'resolved'. QA then determines whether resolved tickets are to be closed. If a ticket is found to be corrected then its marked as 'closed' by QA. Please note that tickets can be created everyone on the team and on the client side and can be directed at anyone from whom action is required. 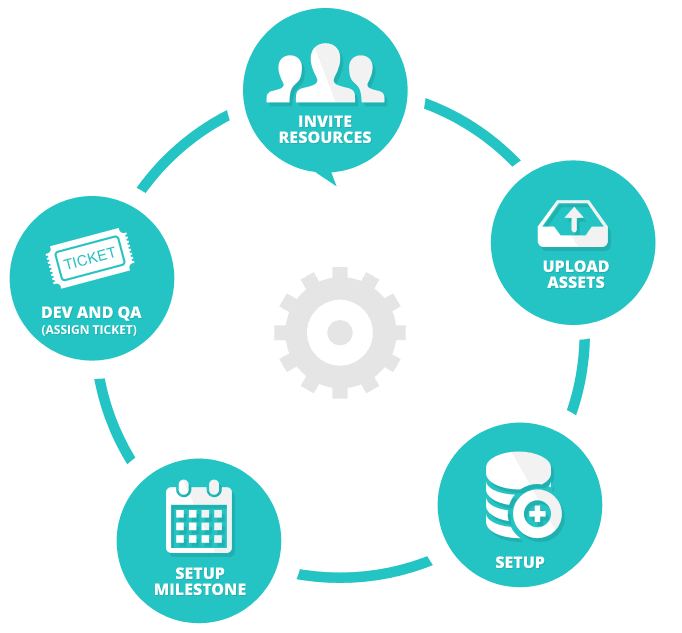 During all of these steps the client has the ability to direct the resources towards any or all aspects of the development and QA effort. Before step 1 above, we work with the clients on specifying the targeted architecture that'll be used when we deploy and in the background draw the database schema. Here, our team checks for parts of the deliverables that could be improved in look and feel, or can be improved to increase the performance related aspects like loading speed etc. After all, we want the site should look perfect, and, we have checklists too. An important step in this phase is to move the website to its permanent live web server. Testing on production environment is important because different servers can have different features and unexpected behavior. Our expert QA team test the site's features, interactivity with consideration of the user experience. Because we would like to find out the mistakes ourselves rather than hearing complaints from the clients or end users. Checking the deliverables in multiple browsers-- FireFox, Chrome, Safari, Opera, IE, iPhone, iPad, Android. Client's satisfaction with the product is very important to us. We always keep the client as succinctly informed as possible and try to predict any questions they may have. So, we provide a documentation for the website, such as a doc file of site map, details on the framework etc. Here's a link of sample report we prepare, please take a look. Vianotte is an app for getting the information about Vianotte club events. Here, user can check news, events from server for the events organized by club. Sort the events month wise. User can get notifications on device when new events are added from server. User can accept event, download QRCodes for that event which will be read by the staff member to allow discounted entry fees. Admin can manage image gallery for club, restaurant and press, and also can manage video & photo galleries. Implemented push notifications that can be sent to about 20,000 and more people in one go. Management of data downloaded on device. An admin panel for ViaNotte iPhone app to manage the data. Here, admin can find all checked in people for an event. Admin can add new events, edit existing events easily. Also, admin can add new images, videos, press. Admin can setup artists for an event. Admin can send push notifications to about 20,000 and more people in one go, and app users will get the notifications on their devices. ScheduleBox is an app for clients of ScissorBoy.com. Its an universal app allowing registered users to make appointments. Registered user can get connected with many stylists and salons. 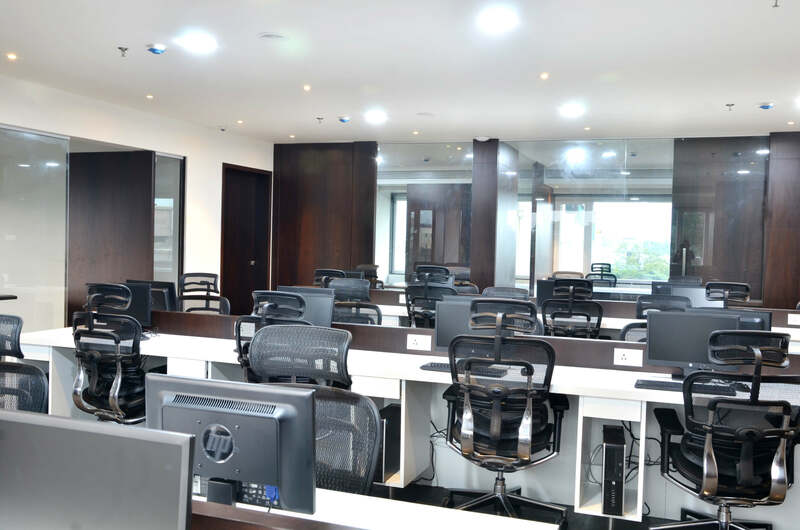 User can book an appointment with desired stylist of the salon. User can view all the appointments made with stylist or salon, similarly salon owner and stylists can view all the appointments related to them. While booking an appointment, it provides the days/time when stylist is available and user can select the preferable date and time from it. User can fill-up his profile and select required services, so it keeps salon owner or admin informed about user's choices. User can view the salon's profile, photo gallery, location map, available facilities and post reviews. Salon admin can post offer coupons, and user can view it and get coupons facility. Data is getting stored on devices, so the loading process is faster. User will get notification for booking an appointment, cancellation of an appointment etc. An app for stylist of ScissorBoy.com helping them to view their clients and manage appointments. Its an app for both iPad and iPhone. Stylist can view and update details of clients, such as phone number, email, address etc. Stylist can take an image of client and upload it to server. Stylist can find upcoming appointments from calendar, filter and update the appointments, make and appointment recurring, similarly stylist can schedule a new appointment for a client. Stylist can push notifications to client for new appointment, updation of appointment, updation of profile details etc. Stylist can make a call to required number or client from Twillio API. ScissorBoy offers educational information and entertainment for hair stylists, cosmetology students, salons, etc. User can quickly register by sending SMS or from site. Site have provided 27x7 chat facility, so, user can directly chat with ScissorBoy site owner for any queries or information. The videos which have provided on video page are accessible to users, hairstylists, students, salons artists. User can follow these educational program video, learn from them and apply for ScissorBot test. They can watch video and learn from it. Although so many videos are there, we have managed to load them quickly without making user to wait long. Site provided many video for users, which load quickly so user doesn't need to wait. User can easily join the schools, stylists, salons from different countries. User can view the site on mobile devices, tabs, iPads., no matter whatever screen sizes are, it will look perfect. User can view many salon products, which are well categorized. User can search for the product and order it within a minute, and make payment via PayPal. Menumalist is an iPad app for customers of restaurant. Restaurant owners can register with menumalist.com, and then they will be able to upload the restaurant menu, their prices, and design of the app. So, customer can see the restaurant menu, their prices, their ingredients etc. in the app. Restaurant Admin can set the layout, background images, fonts, colors of restaurant menu, colors of restaurant menu process etc. of the app from the server, and which can be visible on app. And this make every restaurant's app look unique. The app can be seen in multiple languages. Restaurant menu, their submenu are displayed in an efficient manner to avoid confusion. Implemented animations for displaying menu descriptions, as these small things make it look nice. Images are cropped, so, are not getting distorted and larger amount of images can be managed for the restaurant menu for both - retina and non-retina displays. So, it doesn't take time load the data. Restaurant admin can manage the ads with videos, images and texts, and these ads can be displayed in the app. Restaurant admin can set a time interval after which every device connected to the restaurant will refresh the data such as images, details of menu etc after the set time interval. An admin panel for Menumalist iPad app, which can be managed by super admin of the app. Super admin can manage permission and so restaurant owner can manage his restaurant's data only. Super admin can setup restaurant and devices that are going to be used in restaurant. Super admin can setup full layout of application such as fonts, menu text color, menu background color, restaurant speciality menu, font sizes etc. Super admin can view the functionality of the app in admin panel with help of jQuery. Authentication and authorization for restaurant owners and admin. Super admin can setup the multiple languages for the restaurant, and can categorized restaurant menu, can setup the restaurant menu in multiple languages. Advertisements displayed in app are also can be manageable in multiple-languages. ClearKarma is an iPhone app for finding the details and ingredients of edible products. User can get registered to the app, fill up his profile with the edibles which he has allergic to and not allergic to. User can search products, scan a barcode of the product and get all the information of the product. User can see if the selected product contain ingredients that user want or has allergy of that ingredient. Product search is conducted as per the user's recommendation. User can recommend the product, review the product, tag the product. User can set likes and dislikes for a product, and also can add product to his favorite products list. 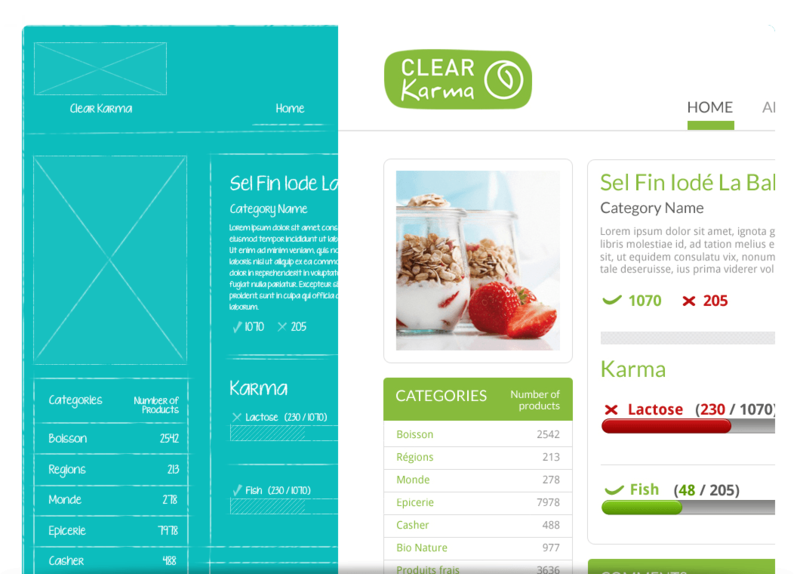 ClearKarma is a webapp for finding the details and ingredients of edible products. ser can set likes and dislikes for a product, and also can add product to his favorite products list. An iPhone app for veterans for managing their orders, exams and studies. Veterans can get orders and reports from server. Veterans can add notes to exams, they can talk directly with client with help of API. Clients or supervisor can view or create messages. Veterans can search reports based on dates, client name etc. The veterinary telemedicine consulting services offered by PetRays are specifically designed to help veterinarians improve the speed and quality of animal health care. Here, user can see the information about specialists, the services petrays is providing. Admin can manage the homepage slider images/content from admin area, and which can be displayed on frontend. Also, admin can add/edit events from admin-area, and which can be seen on homepage. The "view all events" link is taking user to events list page. Front-end user can fill-up the employment form for career and contact form for enquiry. The forms can be manageable from admin-area, and admin will receive the emails when user fill-out the forms. The site is responsive. Front-end user can view the site on mobile devices, tabs, iPads.. no matter whatever screen sizes are, it will look perfect. Developed this photo gallery using Piwigo. Piwigo is a web-based system, written in PHP and requires a MySQL database. 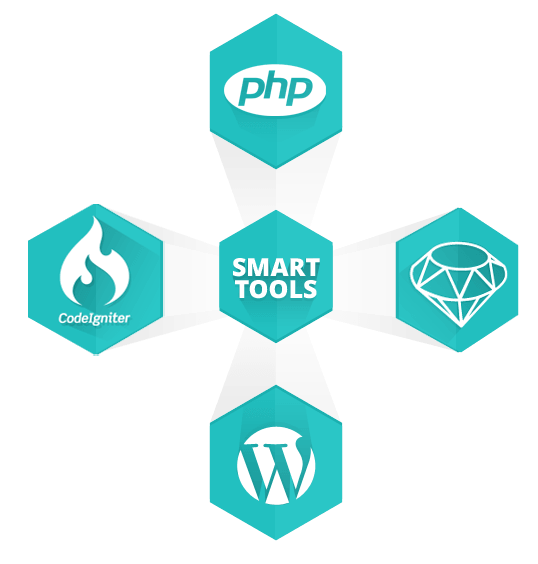 Smarty (PHP compiling template engine) is used for creating HTML templates. Users can upload their own photos. Watermarks can be added automatically on all photos. User can view the site on various resolutions - from Smartphones to HDTVs. To improve the compatibility on such devices, managed the photo sizes and made them available in 9 different sizes. Admin describes photos with tags, user can browse photos by tags or multiple related tags. Calendar: Extracted from EXIF metadata. 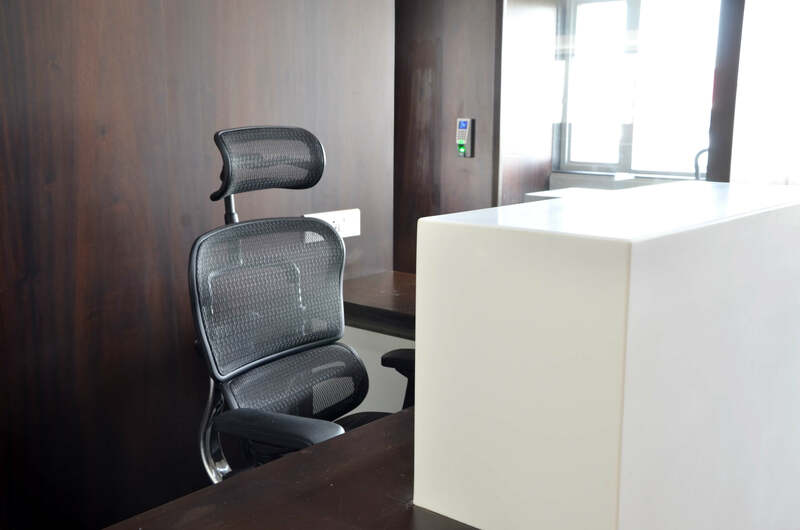 Access control: handled by user manager, restricting and granting varying levels of access to photos and albums. Notifications through RSS feeds, email or sharing on social networks Twitter, Facebook or Google+. Developed this web app using CodeIgniter. Provides a full featured professional online market research tool to create, deploy and analyze surveys. User can create surveys via drag-n-drop to setup question in multi-lingual. Also, user can setup start date and end date to keep control over the whole survey process. User can create almost every type of surveys with more than 20 question types. Just need to drag the question and drop it in the questionnaire. User can export created surveys in -- XML, CSV or PDF files. User can upload his logo, setup typography, size and style. User can create his own corporate design with the theme designer. User can observe start time and end time, country and see if the target audience is really responding to the survey. This is the simple way to create surveys, and by which user can save money and time. User can set permissions to the users, choose different functionalities and give permissions to his colleagues to access his surveys, polls or reports. Its a social networking site designed for parents of down syndrome children. Parents can ask questions, write a journal, get access to the latest information. Site supports children, help parents be connected, informed, and poised to create for an environment of fully supportive of their children. User can register & create his own account to join various communities. User can keep their entries private or share information. User can create friendships and share advice. User can subscribe to RSS feeds. Message center for send and receive messages. Edit tags, and search by tag to find other members. The Themis Awards were created to honor outstanding achievement in Legal Profession. While Galen Awards were created to honor outstanding achievement in Healthcare Industries. Developed the site using PHP and CodeIgniter. Admin can create sub-sites for awards, change themes for specific site from admin area. User can register to the site, purchase tickets online for the award function. User also can become sponsor. OFAJ is a site for members of Club OFAJ. User can get registered to the site, can view and edit his profile information. User can also view the information about various programs on Club OFAJ, can join the programs and can get information about all the programs they have attended. User also can add tags to the program, can add comments to the program. Also, user can join a group, read/add news to the group. Implemented search, where user can search for a program or users profile. User can subscribe to RSS feeds also. The site can be seen in multiple-languages. Admin panel for Club OFAJ site. The admin panel can be seen in multiple-languages. Admin can manage news which can be displayed on site, manage users of the site. Admin can manage advertisements/banners which can be displayed on the site. Admin can manage the front-end homepage slideshow management. Admin can manage comments, categories, information of pages in different languages. Developed the WordPress theme from scratch. Background images on all pages are rotating on refresh. From admin area, admin can change/set different background images for different pages. BBCK is a website of an advertising and branding agency. Developed the WordPress theme as per client's requirement. Created a left-side menu fully dynamic, so, from admin area, admin can add/delete new pages as per requirement and it won't affect to the menu design at all. Front-end user can get connect through social media also, added social media links at the top of the page and its just one click to go. ThallerCenter is a website of a mall, and the site is about the shops and cafe's in the mall. Admin can add/edit the information about shops and cafes, and front-end user can view the information on site. Front-end user also can download the pdfs of shop, which were added by admin, and view the information/offers of a specific shop. Admin can add/edit current news, and front-end user can view those news on site. User can easily contact to ThallerCenter's people for enquiry or any issue by contacting them from contact us page, also, social media link is also there to get in touch. User can see retina display like effect when hover on header images of struktur, muster and wandel pages. Used jQuery plugin to implement it. Admin can change the header image and header hover image from admin area. The link-box, admin can easily add/edit/delete content of link-box. As we are using jQuery sliding pagination, admin can add many links to the link box. User can see slideshow on some pages, and slideshow images can be easily manageable from admin area. KlasseWaesche is a website of KlasseWaesche, the laundry, the first platform for information on benefits and benefit-house laundries in hotels, restaurants, residential and nursing homes. On homepage user can see video and image section, the video and images keeps on changing when we refresh the page. The video and images can be easily managed by admin from admin area. On inner pages, user can see sub-menu links of a parent page at the right side of the page, and which makes easy to jump on another page. User can fill-up the forms for contacting KlasseWaesche team, or get the newsletters from the laundry. User can read the blog to read the latest news about the laundry and to get updated. The design has kept different a bit to get the blog page highlighted from other pages. PrimaPR is a website of consulting services. On home page, user can see the posts slider. Which is an easy way to jump on a news detail page. It is dynamic, so, whenever admin will add new entries in blog, those will automatically get displayed in that slider. User can see all the news on news page, admin and other authorised users can add/edit the news, and which will be displayed on front-end. Team members pages can create their own profile, and then team member can add/edit news on the site from admin area. Those news can be categorized under that team member. Front-end user can view the news image in lightbox, and navigate in lightbox for previous-next images. Front-end user can add comment to the news, via facebook comment box. Similarly, user can facebook like/twit/g+ the news. User can download the PrimaPR team members v-cards from contact page. 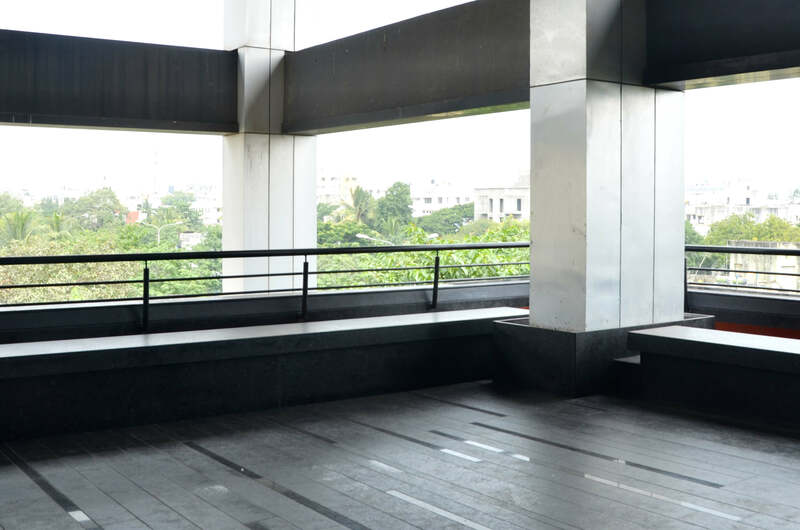 Agency 77 is a very classic non-traditional advertising and Promotion agency. Background size is adjusted as per user's screen sizes, so, user will be able to see 100% stretched background of all the pages, without distortion. Similarly, title's font-sizes also made flexible as per user's screen size. Admin is able to add/edit services at "services slider", on services page, and front-end user can see the updated services. User can check latest news on news page which are coming from facebook page. ARNOLD Rechtsanwälte GmbH is one of Austria's leading business law firms, and the site is about ARNOLD Rechtsanwälte GmbH team, their books published. On homepage, user can see the books information in right sidebar, and the information is easily manageable from admin-area. The books information keeps on rotating on refresh of page. The "more" link takes user to the publication page, where the book is listed out. The publication page is about the books publication list. User can sort it out year wise, also, can be sortable author wise. The publications, their content and images can be easily manageable from admin-area. The site can be seen in multiple languages. MehrPerspektiven is an agency, which support clients with consultancy, communication, coaching and mediation. On homepage, user can see the customized and animated menu. Also, user can see quotes at the top of the page, which keeps rotating on refresh of the page. Admin can add/edit event's, and which will get displayed on blog page. Front-end user can check the event's details page by clicking on it. Front-end user can post the comments on news via facebook comments box, which is displaying on news details page. Comments count can be seen on news list page. Wortart is a site of agency, which make PR. They write and make the graphics, visuals, photographs more properly presentable in words. User can view all the information about wortart company. User also can see different companies/clients testimonials for the wortart site. The header images can be easily manageable from admin area, and they can be seen properly, without distort/stretch on front-end. At left-side, user can see menu, and on its hover sub-menu is loading with animation effect. CardioVet is a site for "Wireless ECG Device". User can buy this product from the site. This device acquires the ECG of your pet, you can upload the ECG to a board certified veterinary and you can consult about the ECG with specialists. Admin can add/edit the product information from admin-area. The product can be seen on store page. Front-end user can purchase the product by using PayPal payment mode. After making payment user and admin both receives an email for placed order. StarsNBars is a family-oriented restaurant in a principality famous for its casinos, Formula 1 races and luxury yachts. Is also famous for American-style service as well as choice of other international cuisines including Mexican, Indian and Asian. On homepage, the news items can be easily manageable from admin-area, and front-end user will be able to see the latest news there. Also, latest posts from facebook page can be seen at right sidebar. As it is restaurant's website, so user can check the restaurant menu, which is categorized under 'menus' link. User will find out the menu in a book -- flipbooks are here -- to give real menu-card feel! The restaurant menu is easily manageable from admin-area. Restaurant menu name, ingredients, prices everything is there. User can ask for a newsletter, just fill-out the newsletter form at footer area, admin and user both will get informed. Photo-gallery is categorized under films and sports. User is able to check photos here. Gallery can be maintained by admin. Garbsch is a website of a freelance consultant, psychotherapist and coach. Content on the pages can be manageable from admin area. The posts design on the pages is managed in efficient manner, user just need to click on a post and the post will get open in the same place. And other closed posts are getting adjust on the page as per available space. To get in touch, user need to fill-out the contact form. User and admin both will receive the email for the same. SmartWohnenWien- is currently building a new residential building with SMART apartments, and this is the site for its super promotion. Here, user can fill-out the multi-choices questions form. In the beginning, only first question will be displayed. On depending of its answer, next question will be displayed and so on. The answers will get saved and user's choice will get displayed while filling up last personal information form. User and admin both will receive the email about the same. Purpose of the WiderDieGewalt is to organizations that are dedicated to the fight against violence and in particular violence in the family, to provide financial support to allow the execution of their work. On homepage, user can see news from facebook, latest news and also can donate to the organization. The news can be manageable from admin-area. User can stay connected with the organization by just filling up the contact form. User and admin both will receive the email for the same. Its a photography website, which explore the beauty of nature. As its a photography site, user can see the images in bigger size, user can navigate the next-back images or can jump to a specific image number. Photographs are categorized under left-hand side categories. The categories and photographs under the categories are manageable from admin-area. It is a site of a psychotherapist doctor/consultant, whose main focus is directed in therapy and counseling to people who are affected by difficult situations in pregnancy, childbirth and infant time or were. An informative site. Here user will get all the information about psychotherapy, and the information is well managed under categories, so its easy to find out the needful information. All the information can be managed by admin. On specialization page, vast information is there. User can click on "more" link to read the whole information, and close it after reading. So, its easy to read the information at the same place rather than scroll down the page. Its a website and blog of Elisabeth Ornauer. User can read all the information and motive of the blog/website here. The registered users can post their blogs, comment on existing blog here. User also can support the blog by donating via PayPal. User also can see the latest comments of the other users at the right sidebar. All the information and blogs can be managed by admin. At adroitCoders, we always welcome unique thinking. Bring us your talent, and you will work in a great team. Learning and development never stops at adroitCoders. 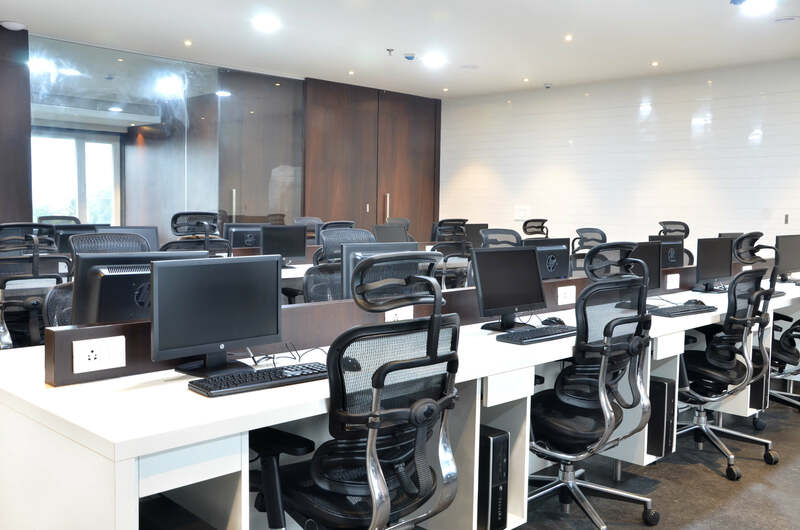 From excellent medical insurance to continued professional skill enhacement programs we believe your time at adroitCoders will be fulfilling. We are looking for a PHP Developer responsible for managing back-end services and the interchange of data between the server and clients. Your primary focus will be the development of all server-side logic, definition and maintenance of the central database, and ensuring high performance and responsiveness to requests from the front-end. You will also be responsible for integrating the front-end elements built by your co-workers into the application. Therefore, a basic understanding of front-end technologies is necessary as well. Strong knowledge of any of PHP web frameworks such as CodeIgniter, Laravel, or Yii. Experience with performance and memory tuning with tools Instruments. Knack for benchmarking and optimization Proficient understanding of code versioning tools such as Git, Mercurial or SVN. We are looking for a Ruby on Rails developer responsible for managing the interchange of data between the server and the users. Your primary focus will be development of all server-side logic, definition and maintenance of the central database, and ensuring high performance and responsiveness to requests from the front-end. You will also be responsible for integrating the front-end elements built by your co-workers into applications. Therefore, a basic understanding of front-end technologies is necessary as well. Good understanding of server-side CSS preprocessors such as Sass. Familiarity with development aiding tools such as Bower, Bundler, and Rake. Integration of data storage solutions which may include databases, key-value stores, blob stores, etc. We are looking for a Linux system administrators who will be responsible for designing, implementing, and monitoring server infrastructure; also, to collaborate with other team members to develop automation strategies and deployment processes. You will become an integral part of the team, making every problem of the platform a problem of your own, and solving them accordingly. Experience with Perl is a plus. Proficient with network tools such as iptables, Linux IPVS, HAProxy, etc. A creative designer with expertise in image authoring tools, HTML and CSS. It would be preferable if you have knowledge of WordPress, Bootstrap, LESS, and jQuery. 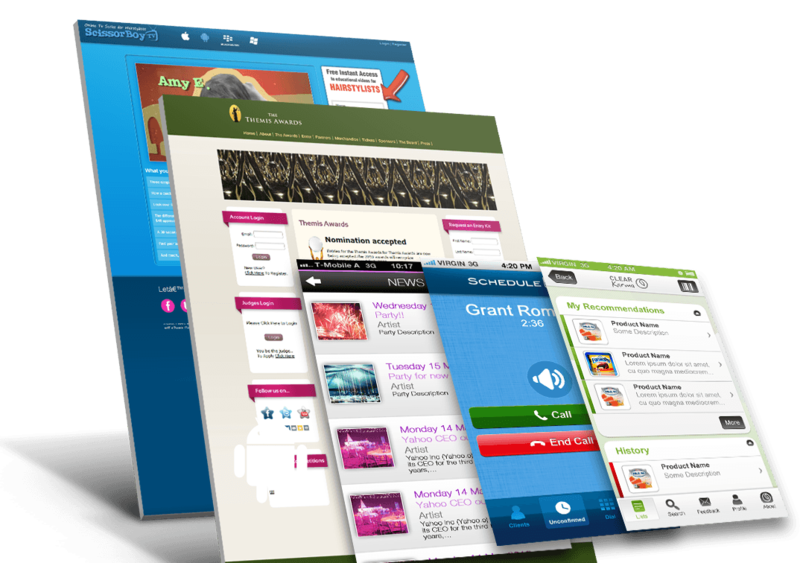 You will be responsible for designing, layout and HTML conversion of a website. You will be involved in technical and graphical aspects of a website, how the site works and how it looks. Understanding of fundamental design principles behind design imaging, scalable application. Basic knowledge of image authoring tools, ability to crop, resize, or perform small adjustments on an image. Good knowledge of content management is a plus. Copyright 2018 adroitcoders.com. All Rights Reserved.